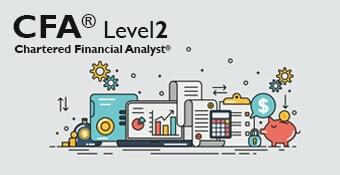 Aligned to curriculum for Chartered Financial Analyst (CFA) Level 2 Certification Course. Course participants will also receive an activation key to access Wiley's CFA level 2 learning resources that include 1000+ practise questions with answers and explanations, 2 full length mock exams, performance metrics and quiz planner to create customized topic wise exams. Passing grade on CFA Level I exam, you must have a bachelor's (or equivalent) degree or have four years of qualified, professional work experience (does not have to be investment related) or a combination of work and college experience that totals at least four years.